During the past three decades there has been an obvious modernization of gender relations. The intensification of gender politics in many countries as well as in the international political arena has been a key factor for this change. At the same time that public policy that has affected women’s lives and opportunities has gained legitimacy in political practice, policy research in the area of women and politics has gained legitimacy as well. Globalization has contributed to this development, especially political globalization. It has opened up new opportunities and options to new political actors such as NGOs in various policy arenas including women’s rights, environment, and peace. Women’s networks have developed as an increasingly important form of organization for mobilization by gender equality actors within and across national boundaries. Several questions can be asked about these networks. First, how do these networks develop? Second, what are the shared organizational characteristics that facilitate mobilization on gender equality? Finally, what are the possibilities and limitations that these organizational networks have as mechanisms for furthering democracy? 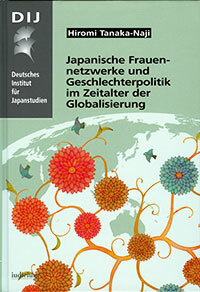 This book intends to answer these questions by looking at the case of Japanese women’s networks since the 1970s. Gender equality actors in Japan developed a new international orientation and consciousness and accordingly initiated mobilization on various women’s issues within and across borders. These actors, who were primarily women and committed to changing the existing gender order, formed networks in the process of mobilization. These networks were based on transnational interaction and communication with actors both inside and outside Japan. The origin of these contemporary Japanese women’s networks can be found in Japanese society, but their formation is embedded in the global and regional context of the present era, in which a new form of politics – and thus new gender politics – has developed. This book examines the emergence of women’s networks in the current social transformation associated with globalization and scrutinizes their organizational structure as well as the process of their development. In so doing, the book contributes to the better understanding of the contemporary world that cannot be adequately understood with a conventional framework solely based on national categories and methodological nationalism.